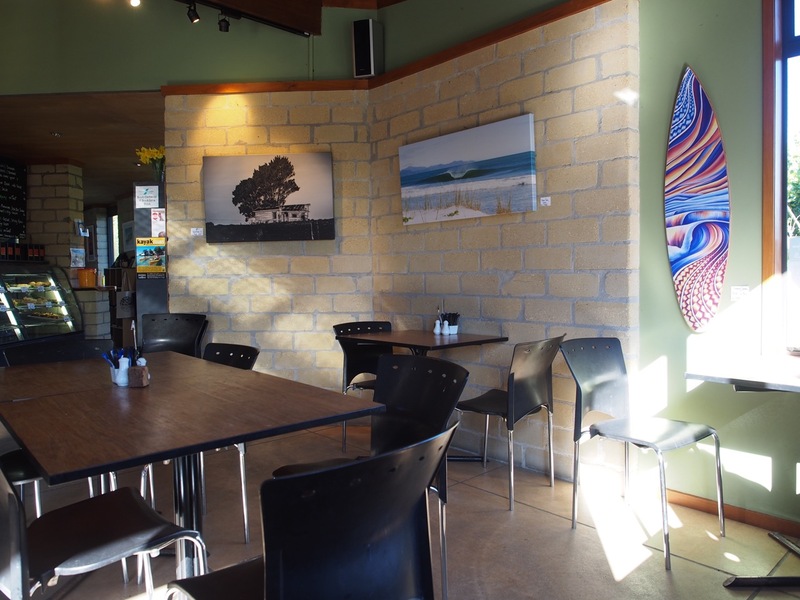 BL’s cycling trips in the Coromandel always included a meal at the very cozy and welcoming Hot Waves Café. Hot Waves Café is right beside the famed Hot Water Beaches, where you can dig your own hot pool at the junction of where the hot springs meets the seawater. 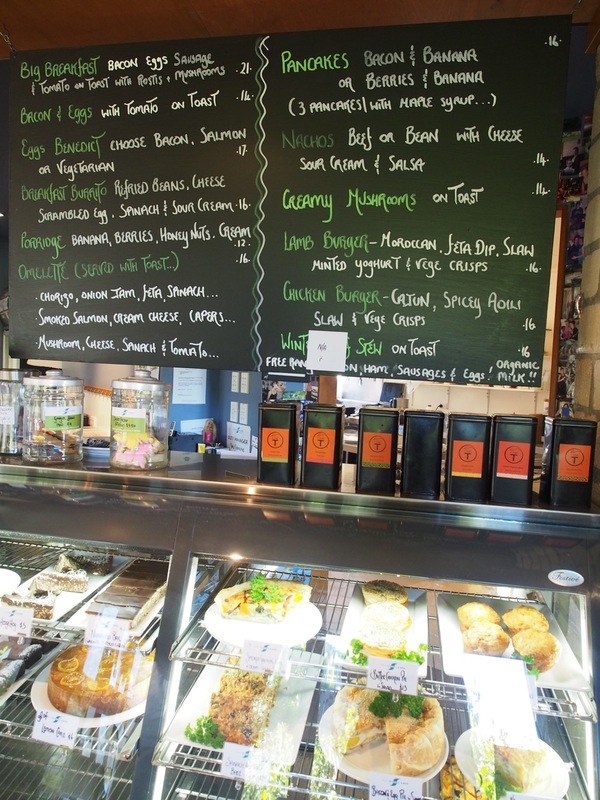 Hot Waves Café is an all-in-one. 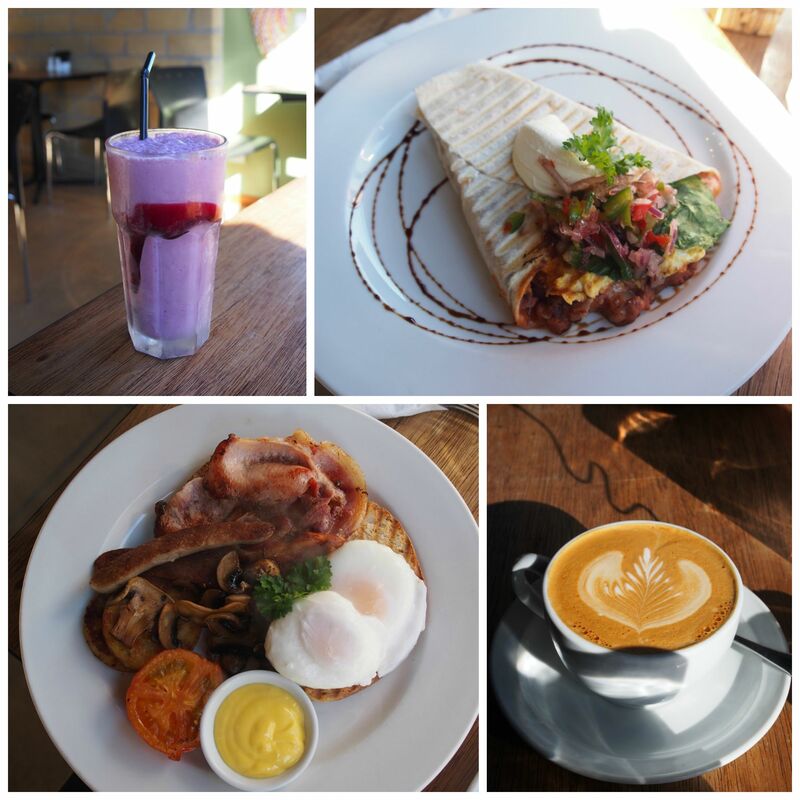 You can hire spades (for the aforementioned pool pool digging), use the library, peruse the large noticeboard, banish your kids t the cubby house in the front yard and settle in for a barista coffee and a home cooked meal. I had a vegetarian breakfast burrito, which hit all the right notes. It was eggy and cheesy with sweet/savoury baked beans and a salsa of red onions and capsicum. BL had the big breakfast which had beautifully grilled bacon, sausage and mushrooms. It’s not often you get mushrooms which are caramelized but not wet and still with a tender bite. There is also a large selection of drinks and appetizing-looking cabinet food if you in the mood for a lighter meal. I can see why BL vouches for this place, Hot Waves Cafe has the feel of a local friend inviting you to relax and chill out. Coromandel is also home to a biodynamic organic macadamia grove. 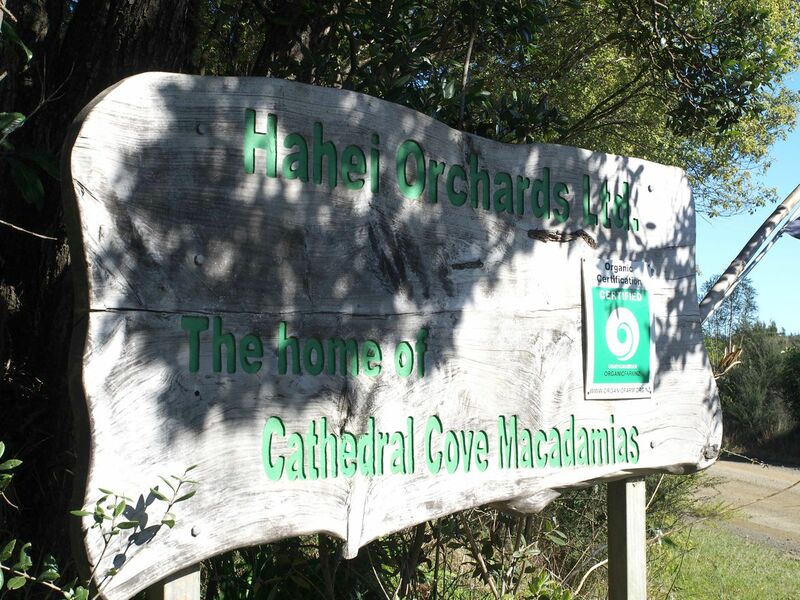 Cathedral Cove Naturals does delicious things with macadamias. I have been a fan of their crumb mixes for sometime. A quick dusting of the lemon crumb is my go-to hack to ‘posh-up’ pan-fried fish fillet, and it’s their secret weapon to winning the Whitianga Scallop Festival best dish award. 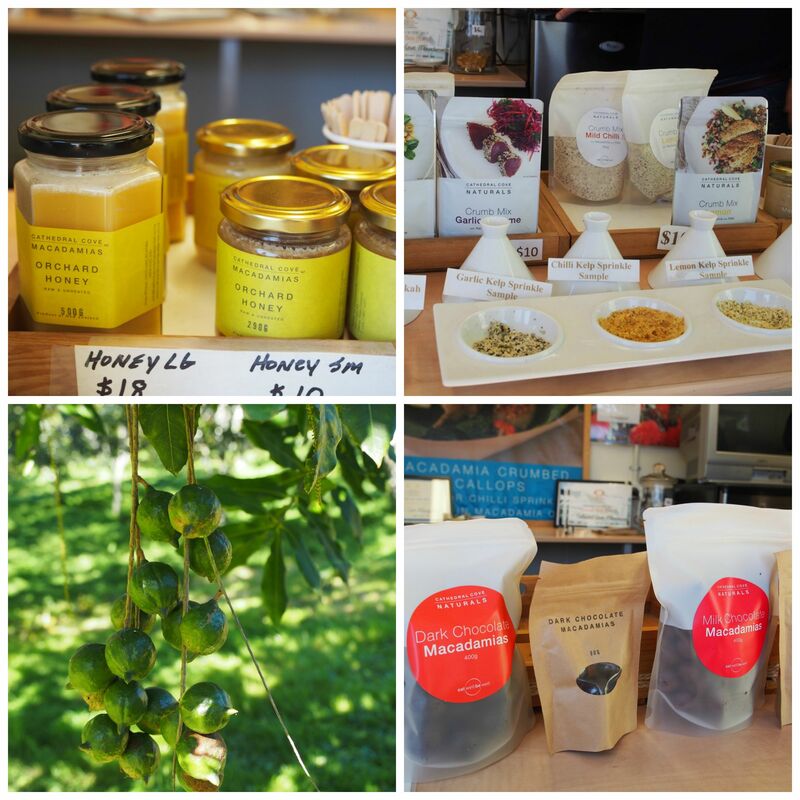 A visit to their orchard lets you try all the products from the small sales shed and a short tour of the macadamia plantation and an explanation of their harvest and drying process. They hand harvest all their macadamias, and any that falls to the ground is discarded due to the high risk of mold. Their largest and most perfect macadamias are sent to be enrobed with chocolate; the dark chocolate macadamias are simply divine. While the range has now grown to include spreads, honeys, cereals and various natural products, their original products are still my pick. 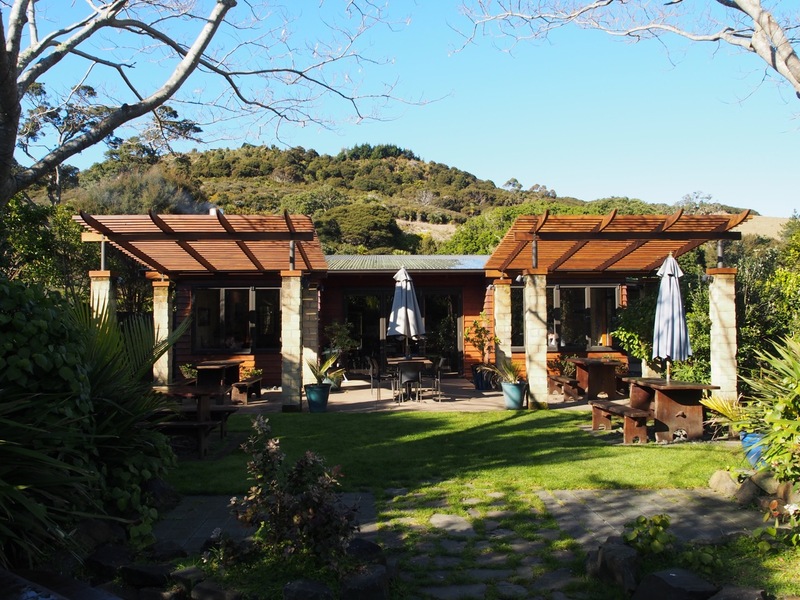 The best thing (apart from the view) about visiting Cathedral Cove Naturals is their homemade macadamia brittle. I completely forgot to take a photo, but for $6, you get a large circle of the most delicious brittle you can imagine. I arrived at the oyster club late, but now if there’s an oyster outlet on the food trail, you can bet your bottom dollar I’ll be there. We scheduled to get here for lunch. 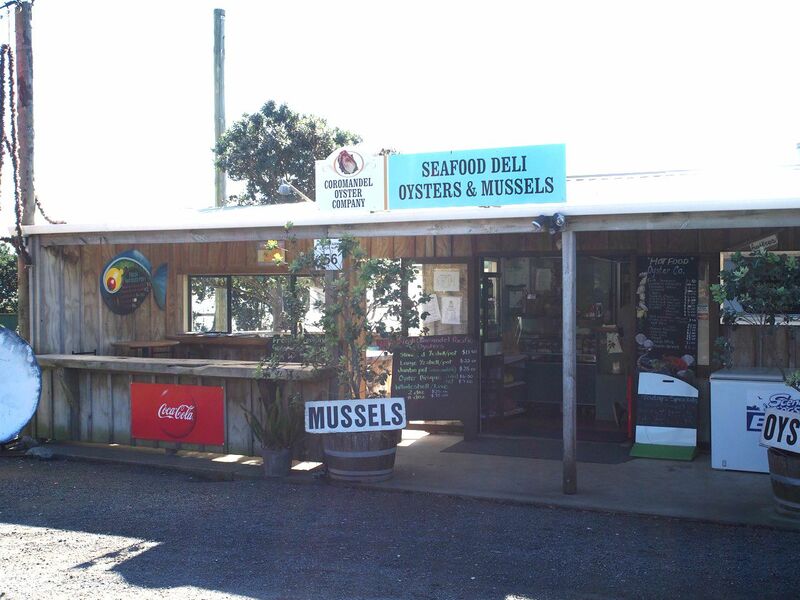 Coromandel Oyster outlet has the feel of a takeaway store which also does double duty to sell fresh mussels and oysters. The oysters are (disappointingly) pre-shucked and boxed per dozen. We ordered a dozen large ($22) to eat on site, and was surprised that they charged extra for lemon wedges. The oysters were somewhat dry, and also still attached to the half shell. The adductor muscle had not been fully separated. 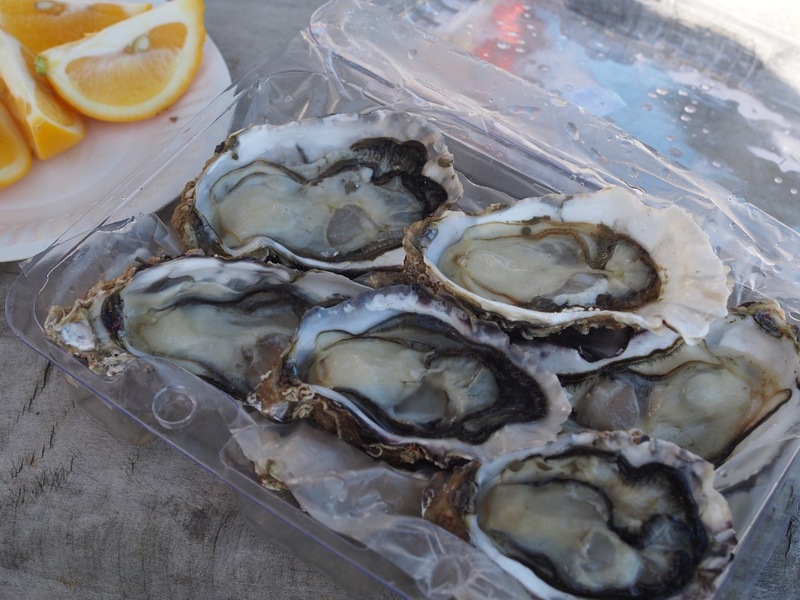 The oysters were also not rinsed after opening, as some had shell fragments embedded where the oyster shucker had been too vigorous.The oysters tasted fresh and subtle. However, the presentation left much to be desired. 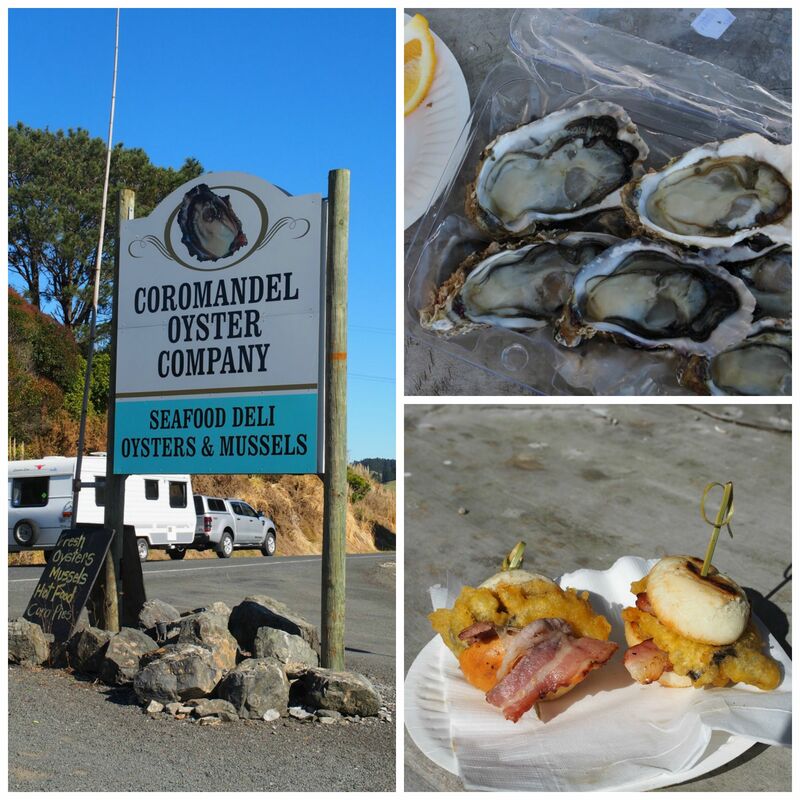 Coromandel Oyster also sells oysters on the shell (2 dozen $25 or 8 dozen $78). These are a much better buy. Reminds me that I really need to get myself an oyster knife and learn how to shuck. We also availed ourselves to their oyster sliders ($4 each). The oyster is battered, then wrapped in bacon and served in a mini bun. Simple and delicious. The oyster was succulent, and the bacon added a savouriness. 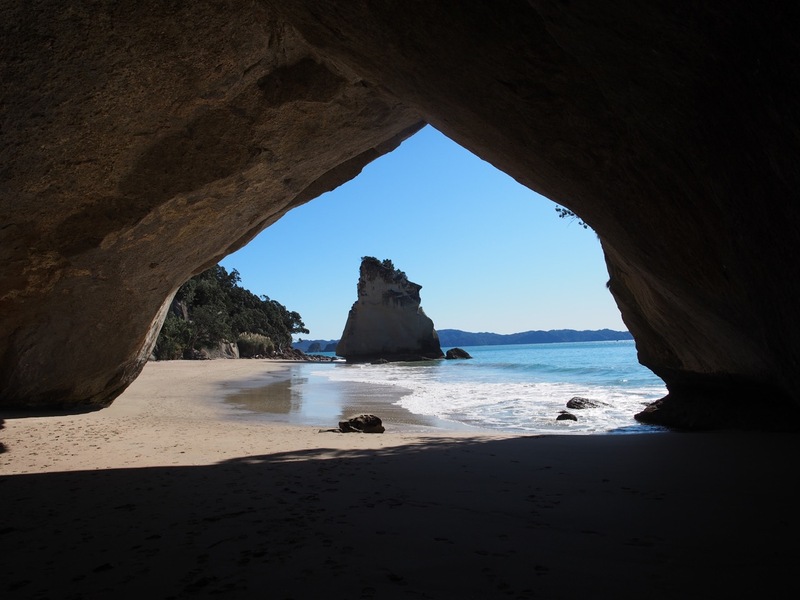 Coromandel is a beautiful holiday spot, and while not quite the food haven, definitely has its charms.